UPDATE: EFF also opposes H.R. 3548. Like S. 1757, it would expand border surveillance with biometric, drone, and ALPR technologies. The bill, styled the Border Security for America Act, was introduced by Rep. McCaul in July. EFF opposes a new federal bill that would dramatically expand dragnet biometric and other surveillance of U.S. citizens and immigrants alike at and near the U.S. border. Sen. Cornyn (R-TX) introduced S. 1757, styled the Building America’s Trust Act, in August. Biometric Border Screening. The bill would require the Department of Homeland Security (DHS) to collect biometric information from all people who exit the U.S., including U.S. and foreign citizens. 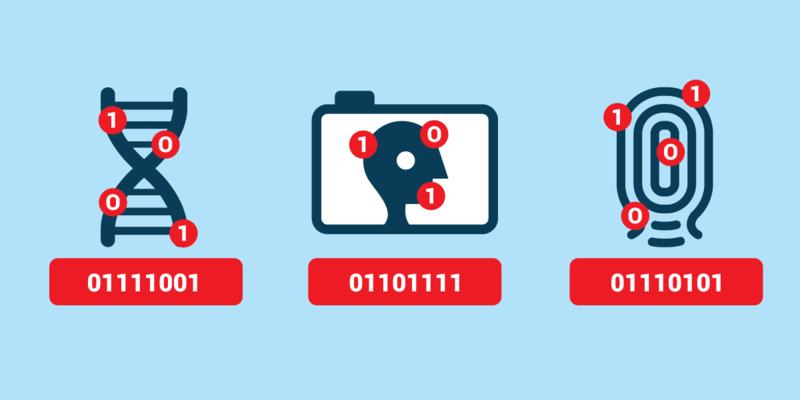 This would entrench and expand DHS’s existing program of facial recognition of all international travelers who take certain outgoing flights from U.S. airports. EFF opposes such biometric border screening, given the sensitivity of biometric information, the threat it will be stolen or misused, and the hazard of mission creep. Collection of Immigrants’ DNA. The bill would require DHS to collect DNA and other biometric information from “any individual filing an application, petition, or other request for immigration benefit or status.” EFF has long opposed dragnet biometric surveillance of immigrants. DNA surveillance raises special concerns, because DNA can expose sensitive information about familial history and health issues. Dissemination of Immigrants’ Biometrics. The bill would require DHS to share its biometric information about immigrants with the FBI, the Defense Department, and the State Department. It also would require DHS to store its voiceprints and iris scans of immigrants in a manner compatible with state and local law enforcement database. EFF opposes this dissemination of immigrants’ biometrics. The greater the distribution, the greater the risks of theft, employee misuse, and mission creep. Screening Social Media of Visa Applicants. The bill would require DHS to review the social media accounts of visa applicants from “high risk countries.” EFF opposes existing DHS and State Department programs of screening social media of foreign visitors. These programs threaten the digital privacy and free speech of innocent foreign travelers, and the many U.S. citizens who communicate with them. The bill would entrench and expand these programs. Also, it is all too likely that the bill’s focus on “high risk countries” will invite “extreme vetting” of visitors from Muslim nations. Drones Near the Border. The bill would require DHS and the Defense Department to deploy drones at the U.S. border. This will invariably capture the faces and license plates of the vast number of U.S. citizens and lawful permanent residents who live close the border. ALPRs Near the Border. The bill would appropriate $125 million to upgrade the automatic license plate readers (ALPRs) deployed by U.S. Customs and Border Protection. ALPRs collect massive amounts of sensitive location information about identifiable law-abiding people. It is unclear whether the bill’s new ALPR surveillance would be limited to cars that actually cross the U.S. border, or would also apply more broadly to cars at CBP’s many interior checkpoints, some located as far as 100 miles from the border. CBP should not track people’s movements merely because they live and work near the border.